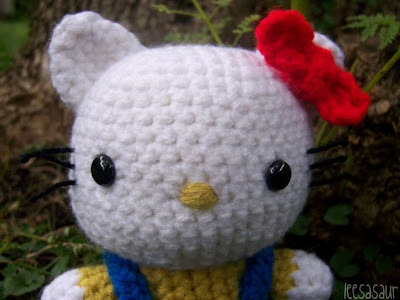 Now when I look at Sanrio items, I don't feel the same excitement as I used to, but they have become very nostalgic to me. 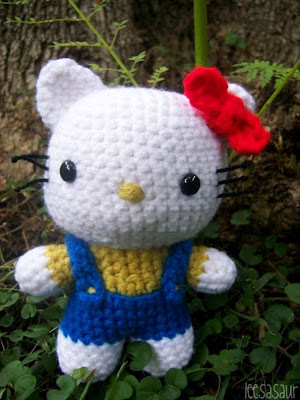 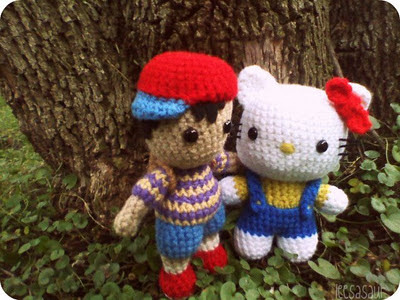 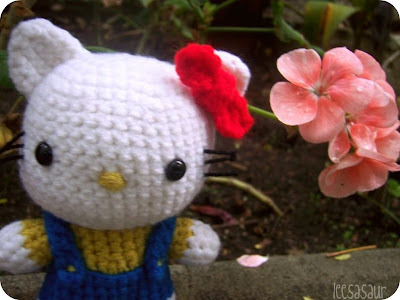 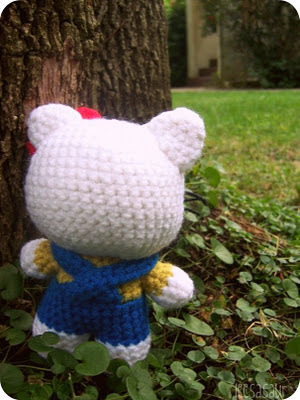 So when I was commissioned to crochet Hello Kitty, I wanted to do her the way I remember her as a kid, in her yellow shirt and blue overalls. I improvised to make her overalls look more realistic with the crisscross and buttons. 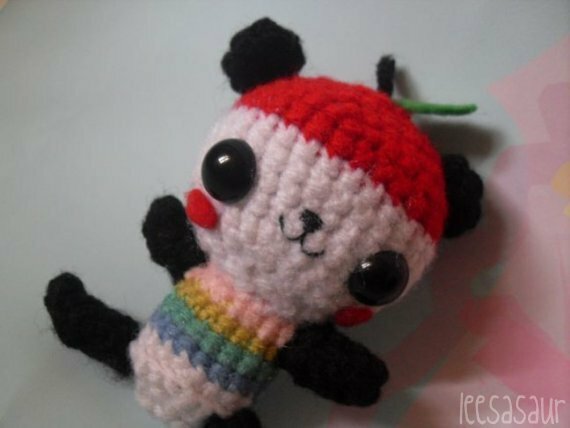 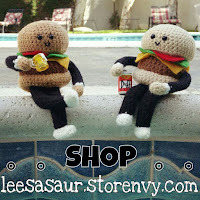 After doing her and Ness, I realized I enjoy the bulky-leg look on my amigurumi, so maybe I'll start changing it up on my original pieces too.